Well, it sure has been a week. 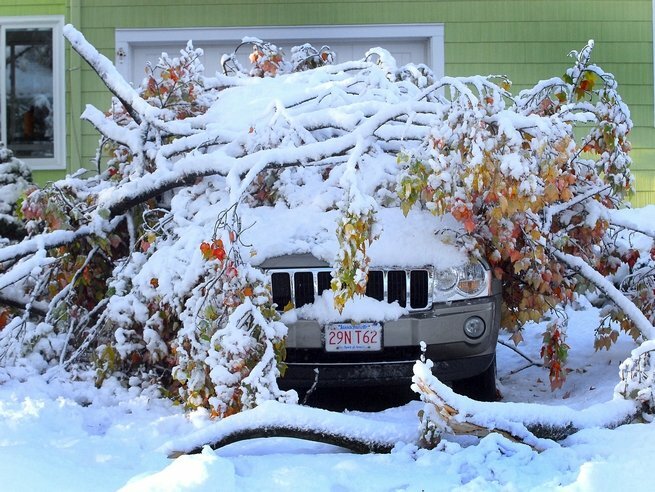 On Saturday, October 29th, the Northeast was hit with an early snowstorm that left us without power for a week. Thankfully, we had a warm place to stay, but it’s a mess here. Now comes picking up the yard, hauling away downed trees, and cleaning up the house. I should be back into a more regular blogging schedule by the end of the week. I have several wonderful titles from Tiger Tales to share. 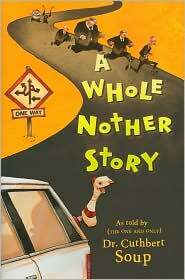 Clavis Publishing, Chronicle Books and Bloomsbury USA Children’s Books has sent some titles along. I also have a copy of Let’s Make Some Great Art by Marion Deuchars that I’ve wanted to talk about. I haven’t read many of these yet, but I want to tell you a bit about them, since some of these are seasonal titles. One good thing about the early snow, now I’m really in the mood for some Christmas reading. Hope you all stayed safe and warm this week. 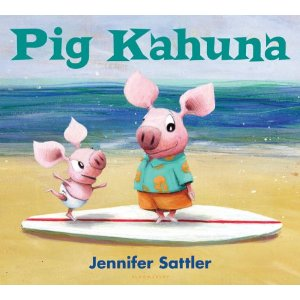 Pig Kahuna is a great summer read! Brothers Fergus and Dink love hanging out at the beach. The water rolls in and leaves behind wonderful treasures. One day, it leaves behind the greatest treasure of all: Dave the surfboard. 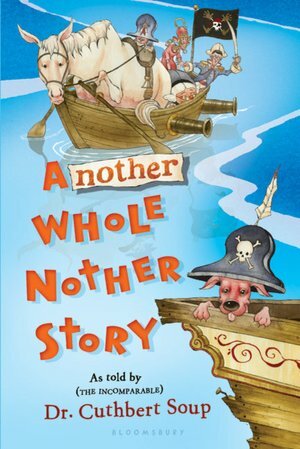 But when Dink realizes Dave misses the ocean, Fergus will have to overcome his fear of the water to save his prized possession. This is such a fun book. You have two little pig brothers–one afraid of water–who hang at the beach to collect neat things. It reminds me of what our girls do when we visit the Outer Banks of North Carolina each year. Fergus and Dink pick up their special treasures until they come to the best treasure ever. They find new uses for their loyal companion and all is well until Dink tosses Dave back into the ocean and Fergus has brave the “lurking, murky ickiness factor of the water.” Sattler’s style is simple, but effective. With fun and colorful illustrations, kids will have a blast with this one. I received a copy of this book from the author’s publicist in exchange for my honest opinions. I received no monetary compensation to provide my review.